The Port of Brownsville is closer than it’s ever been to finally landing a steel mill, something it’s been pursuing for decades. 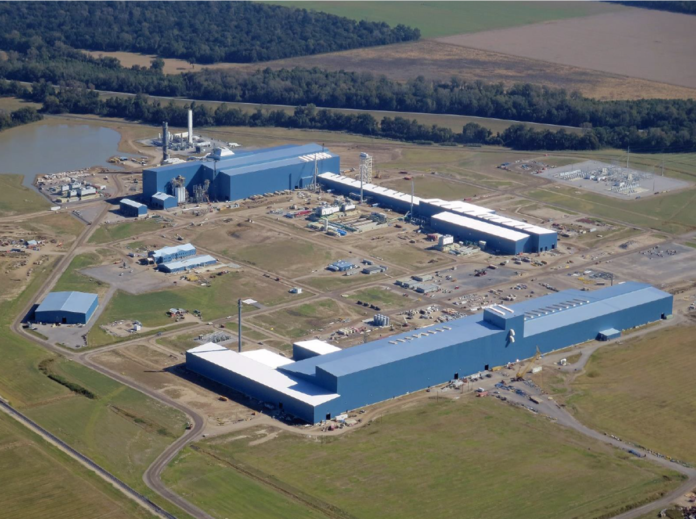 Brownsville is one of two finalists for a $1.5 billion, advanced flex steel mill identical to Big River Steel’s new plant in Osceola, Ark., the world’s first LEED-certified facility of its kind. LEED stands for “Leadership in Energy and Environmental Design.” According to the U.S. Green Building Council, LEED is the world’s most widely used green-building rating system. Big River is expected to decide within a few months whether to build a new mill in Brownsville or expand its Arkansas operation. The new project has been dubbed “Project America.” Port officials say it would directly support 500 new full-time jobs with a minimum annual salary of $75,000. The mill primarily would supply the automotive and vehicle component industries in Texas and Mexico. Alan Simon, vice president of industrial development for Denver-based OmniTRAX, which is in charge of developing the port’s industrial base, said Arkansas attracted the first Big River Steel facility through major cash incentives via the state legislature. Tax Code Chapter 313, or the Texas Economic Development Act, allows a school district to offer a temporary limit on school property tax on the value of new investment. In this case, Point Isabel ISD would be able to defer by eight years when the steel mill project goes on the tax rolls at full value. The limit on the taxable value doesn’t kick in until the third year of the project. Simon said the project would require two years of engineering and permitting, and two years of construction. He said BigRiver wants incentives worth at least 10 percent of the project’s $1.5 billion cost, or $150 million. That percentage is typical for similar projects around the country, Simon said. Besides the abatement, key incentives would come in the form of land discounts and bond financing from the port and OmniTRAX; capital investment from OmniTRAX parent company The Broe Group; and Texas Enterprise Fund and Texas Enterprise Zone assistance through the Brownsville Economic Development Council and Greater Brownsville Incentives Corporation. Eduardo Campirano, port director and CEO, said port officials have tried for decades to attract a steel mill, though an insufficient supply of electricity in the Brownsville area always was the main stumbling block. Recent upgrades to the Rio GrandeValley’s power grid have eliminated that obstacle, he said. Campirano said Brownsville is a strong contender for the project since the port produces more scrap steel than anywhere else in the country, and BigRiver uses scrap steel for its feedstock. That obviously benefits Brownsville’s recyclers, though the port still wouldn’t be able to meet all the mill’s feedstock needs, he said. Big River would produce 1.6 million tons of steel a year and require feedstock of about 2 million tons a year, Campirano said. Brownsville’s recyclers, operating at top capacity, would supply no more than 500,000 tons a year, he said. That’s also good for the port, however, since it would boost barge activity through scrap steel imports, Campirano said. That’s why one of the two potential sites for the mill is on the ship channel. The other site is on port property off S.H. 550 north of S.H. 48. “That means all our recyclers are going to be busy, the tugboat captains, everything that goes into that sector of it,” he said. The mill would also support the numerous service and supply-chain companies that would inevitably follow a steel mill, Campirano said. “It’s a substantial project, a lot of great-paying jobs,” he said. Simon said BigRiver takes “mini-mill” technology a step further by using scrap steel. In addition to the jobs and ancillary benefits, it’s a desirable project because of the LEED designation and nothing like the heavily polluting steel mills of decades past, he said.